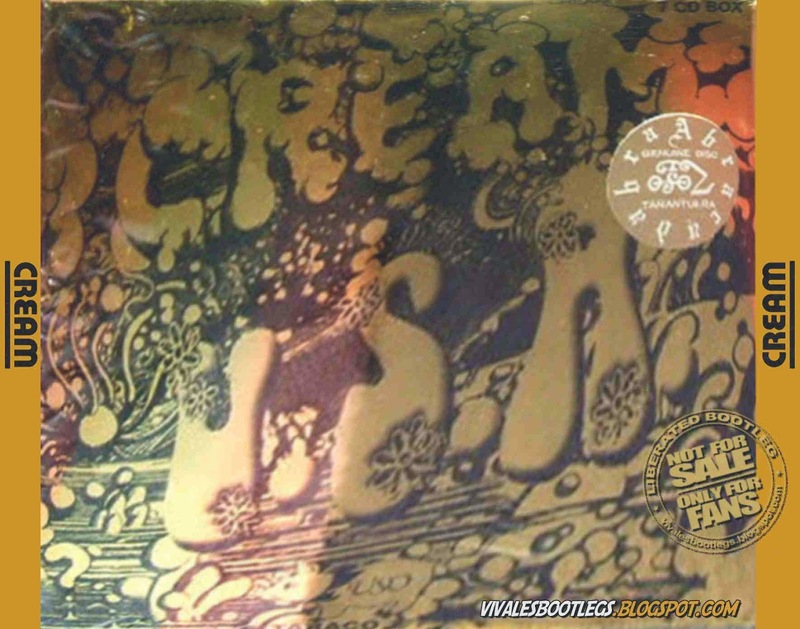 Recorded Live in Various venues and dates, USA -1967 and 1968. Ex Soundboard + Ex Audience :: Silver CDs :: Lossless FLAC. Files: 36.:: Size: 1.98 GB (flac). Personnel: Eric Clapton guitar, vocals / Jack Bruce bass, vocals / Ginger Baker drums . 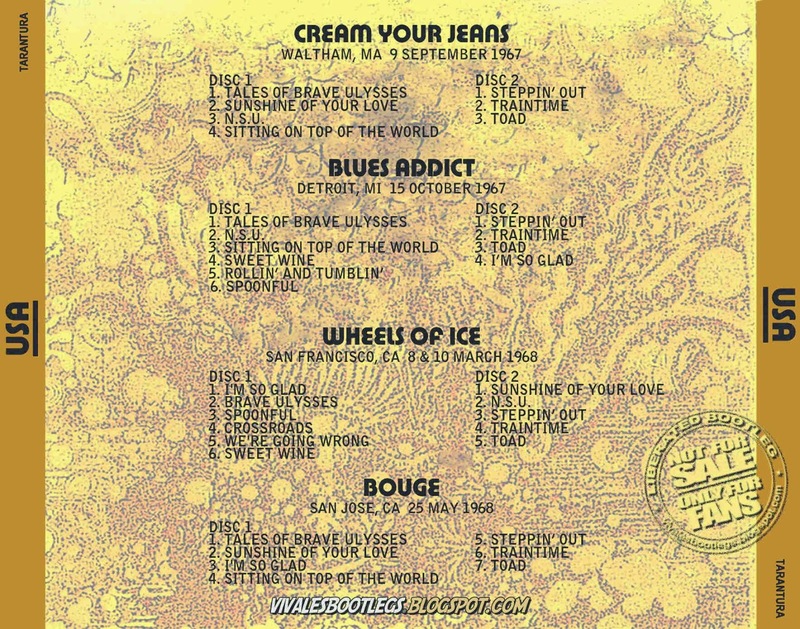 Notes: Box set containing: Cream Your Jeans Brandeis University, Waltham, MA, September 9, 1967 - Tarantura TCD Cream-1-1,2 /// Blues Addict Grande Ballroom, Detroit, MI, October 15, 1967 - Tarantura TCDCream-2-1,2 /// Wheels Of Ice Winterland, San Francisco, CA, March 8 & 10, 1968 - Tarantura TCD Cream-3-1,2 /// Bogue Civic Auditorium, San Jose, CA, May 25, 1968 - Tarantura TCD Cream-4-1..